Time tracking tools can improve productivity, improve efficiency, and help us manage our time better by understanding our habits and how we spend our time so we could eliminate distractions (or minimize them). Time-tracking tools also help us with things like accurate billing for customers and generating invoices for clients. However, Just like with almost any software, the Mac versions of some tools can lack features that exist in their windows counterparts and be weaker – and sometimes just worse. So, let’s take a look at 5 of the Best Time Tracking Apps for Mac. Toggl is an excellent time-tracking tool. It is web-based and has a Mac version, and you can start tracking your time just by logging in and clicking the timer. You can allocate time toward specific projects, just like with any other time-tracking app, but Toggl’s functionality does not stop there. You can also visually organize your time graphs by giving each project a specific color, create sub-projects, and provide your entries tags. 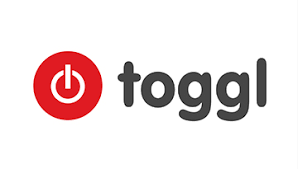 Toggl also works offline and will synchronize your data once a connection is available. Toggl has a beautiful and clean interface that makes it visually appealing and pleasant to use. The reporting features are great, and you can share those reports with clients via a URL or export it as a PDF, CSV, or Excel file. On the job sits quietly on your menu bar and helps you track time with its automatic idle time detection. All you have to do is start the timer, and it will automatically create a new session for you. On the Job will also generate professional invoices based on the hourly rates – which are also customizable. Speaking of Customizable, you can create entirely customizable settings for invoices number generation as well. Jobs have four types of items: Timed, Fixed Cost, Mileage, and Quantity. Those items correspond to line items on an invoice. You can track unpaid invoices through the use of the Invoices Report View to see which invoices have not been paid yet. You can organize the information about your clients by their names, addresses, or even their hourly rates. The software supports Multi-currency so you can set different currencies for different clients. The desktop tool is $39.95 and runs on OSX 10.7 and higher. Harvest is a versatile time management tool that can be used on devices running Mac, PC, Android, or iOS. With Harvest, you can track the number of different projects at the same time even if they contain different tasks and charge different rates. It is an excellent option for freelancers and teams as well. Project managers can assign tasks to a project to specific team members. Harvest can also generate detailed reports and create quick invoices that retrieve project hours and expenses instantly. Harvest integrates quickly and smoothly with other applications such as Basecamp for added functionality. Tick is designed to make sure you stay productive and profitable. You start by creating a time budget for an individual task or an entire project. As you work on the project or task, Tick will show you how much time you have logged and how much time you have got left so you can keep on track. Tick also has reporting features that are useful for both freelancers and team leaders equally. Team leaders can track each employee and see their data, or you can toggle your view to see how much time you have billed a client. You can also turn the reports into invoices easily and quickly. Tick integrates with many third-party apps such as BaseCamp, QuickBooks, and FreshBooks. Tick’s integration with BaseCamp allows you to track time within Basecamp projects. With this integration, you will be able to see how much time is left in the budget of a particular project instantly, export Basecamp to-do items as tasks, and see how much time your employees have logged. Tick has a free trial, free plan, and you can choose pricing plans up to $149/mo. Klok is known for its visual display of time spent and tasks. The app will let you customize the organization of your clients and projects in the way you want it. You can start tracking another project just by starting to work on a different task as Klok will launch a new timer automatically. You can always adjust the time later if something did not go as planned. Klok also plays well with others, and you can connect it to other time-tracking tools such as FreshBooks to get more functionality out of your devices. 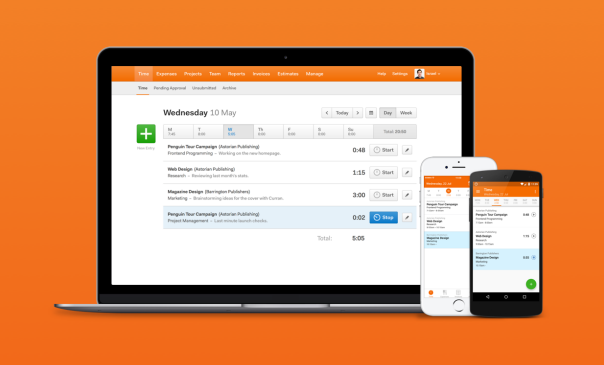 Klok comes with timesheets that you can export, and it can generate invoices and reports. Price for the desktop tool is $15.99. RescueTime tracks time to the minute. It tracks accurately time spent on apps, websites, and even time spent offline such as time spent on phone calls. With reporting, blocking, and reminders features, RescueTime remains one of the best options. There’s also a free plan that offers the basic time-tracking functionalities. One of the best options if you are on a tight budget – because it is free. It is also a finance management tool as well as a time management tool. You can set time limits, set timers, track time sheets, or handle accounting tasks right from the widget. The basic Freshbooks web and desktop tool are free but limited for three clients at a time, but you can always upgrade to a paid plan that gives you up to 25 clients at the same time for $14/mo. Besides all the necessary time management functionalities, iBiz lets you track your expenses and overdue payments. It will also allow you to backup or restore your data with its simple built-in command. iBiz costs $39.99 for the desktop tool. Costly but efficient, Hubstaff is one of the big names in time-tracking. It offers screenshots, timesheets, and time logs to get the best idea of how your employees have been spending their time. Hubstaff is available on OS X 10.6 and later and has an app for iPhone and iPad.